Many claim that he left behind few masterpieces. 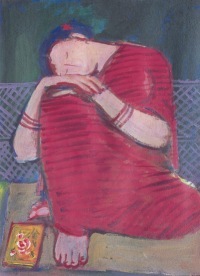 Most of his detractors insist that the Famine Sketches are the only significant bulk of work that Zainul ever produced. All things said and done, the name Zainul Abedin still retains the vitality and verve that existed during the artist's lifetime. The legend lingers on; the genius whose fame had once splashed across the Indian subcontinent and made the artist stand out among his peers, is beaming up all the signs of his luminosity to today's viewers through his magnificent works.